Funds raised from the Wellington Resilience Chocolate Bar will help ensure the community is equipped post-crisis. It's no secret that Wellingtonians love Wellington. The Nikau Foundation is counting on this in order to build the Wellington Resilience Fund from the ground up. To ensure the success of this new community fund, the foundation is calling on an additional (undeniably powerful) motivating force — chocolate. The mission behind the Wellington Resilience Fund is to make sure the Wellington community is equipped to deal with the aftermath of a significant event like an earthquake and can bounce back quickly afterward. In partnership with the Wellington Region Emergency Management Office (WREMO) and the Wellington Chocolate Factory, the Nikau Foundation has announced the reveal of its new Wellington Resilience Chocolate Bar. By purchasing the chocolate bar, locals can easily help build resilience in their communities — a portion of every bar sold goes directly into the Fund. 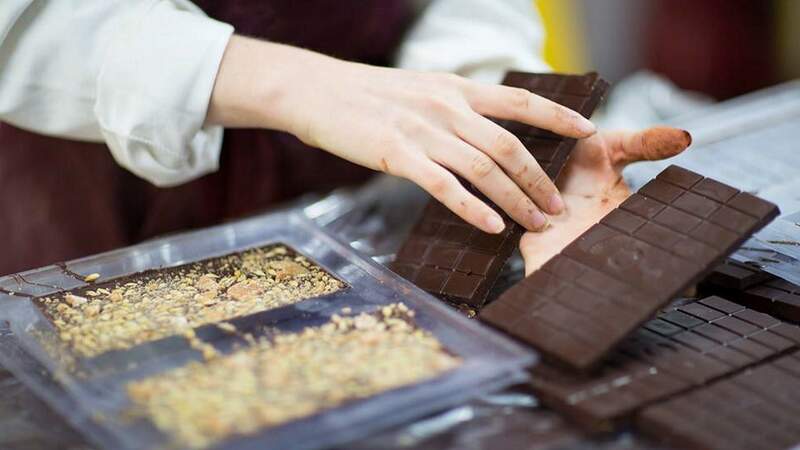 The ethically-made salted caramel chocolate bar will be available for purchase at the Wellington Chocolate Factory as well as online via the foundation's crowd funding campaign. The bar will only be available for one month but will go on sale each year in June, when WREMO reminds businesses and householders across the region to fit out their emergency kits. If you can resist the temptation to eat it right away, the chocolate bar makes for a great addition to any home or work emergency kit. So where exactly does the funding that reaches the Wellington Resilience Refund go? This year the focus is on providing emergency equipment like water tanks and solar-charged power banks for schools and community centres, says Nikau Foundation's marketing and communications officer Caroline Ward. Another key area has been concentrating on building relationships and encouraging inclusion, interaction, and accountability among communities. As Wellington's community foundation, Nikau provides a vehicle to "Give Where You Live." All donations are invested forever, and the interest is distributed as grants to local community groups. How you can help: Spread the word on social media with the hashtag #GiveWhereYouLive, purchase a Wellington Resilience Chocolate Bar online via the foundation's PledgeMe campaign, and get involved in upcoming community resilience projects.